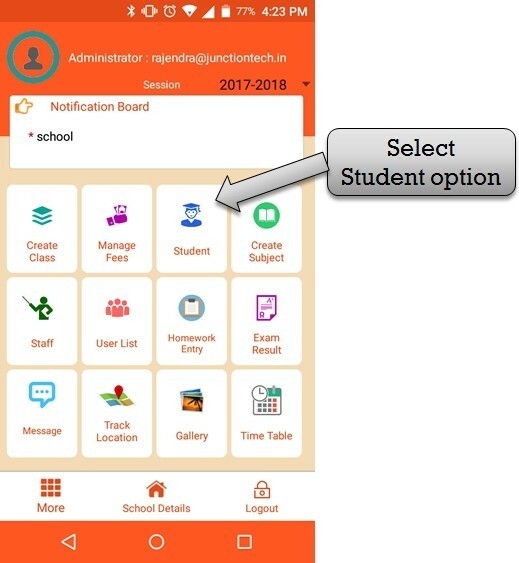 step:1st- In Attendance app for student registration in school management app so please select student option . 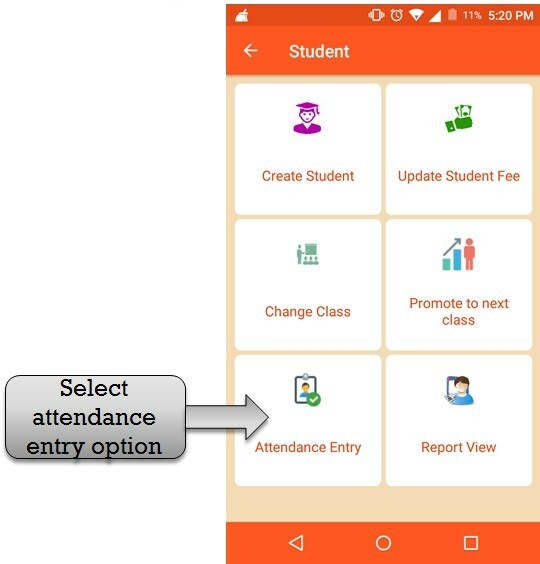 step:2nd - You have to put up student attendance in attendance app so please select attendance entry option. 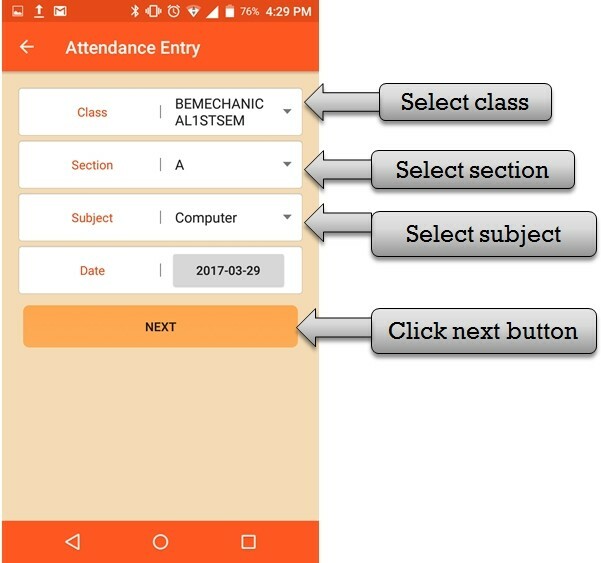 step:3rd - Please select class name , section name , subject name and select attendance date then click next button open student list. 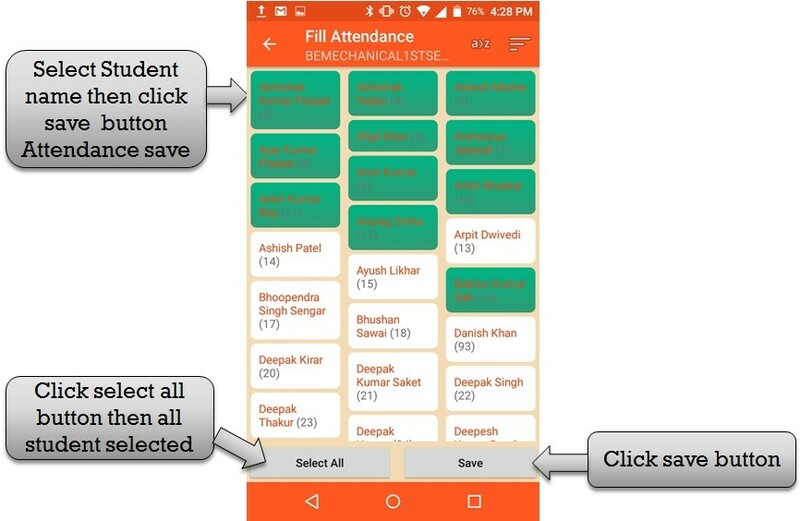 step:4th - Please click student name (student name green)then student save in attendance and click save button student attendance save successfully.